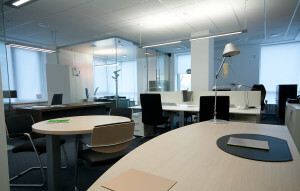 A full-service office moving company can prevent many of the headaches that might arise during a corporate relocation. That’s why companies moving to, from, and within the Greensboro, North Carolina, area, rely on Relocation Strategies Charlotte (RSI Charlotte) to make their office moves as smooth as possible. Whether your company is upgrading to a larger space in the same building, moving across town, or relocating across the country, we can walk you through every step of the process to make sure that your corporate move goes off without a hitch. And, once your company has settled into its new office space, we will work with your previous landlord to ensure that your old office is in the condition necessary for it to be turned back over. If you would like to discover why we are the office moving company that businesses in the Greensboro, NC, area turn to, contact Relocation Strategies Charlotte today.